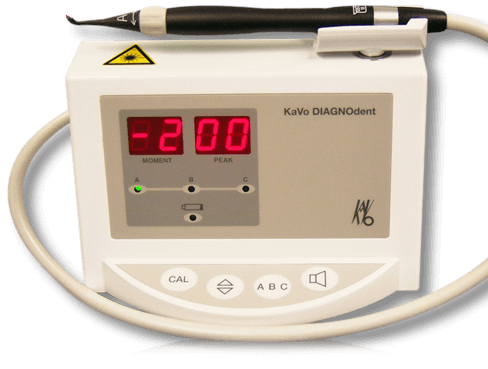 The Diagnodent is the latest in cavity detection. The Diagnodent can detect the smallest cavities that even the trained eye of your dentist can miss, even while using magnification loupes! The earlier the cavity can be detected, the sooner it can be removed and chances are, there will be minor, if any, pain involved.